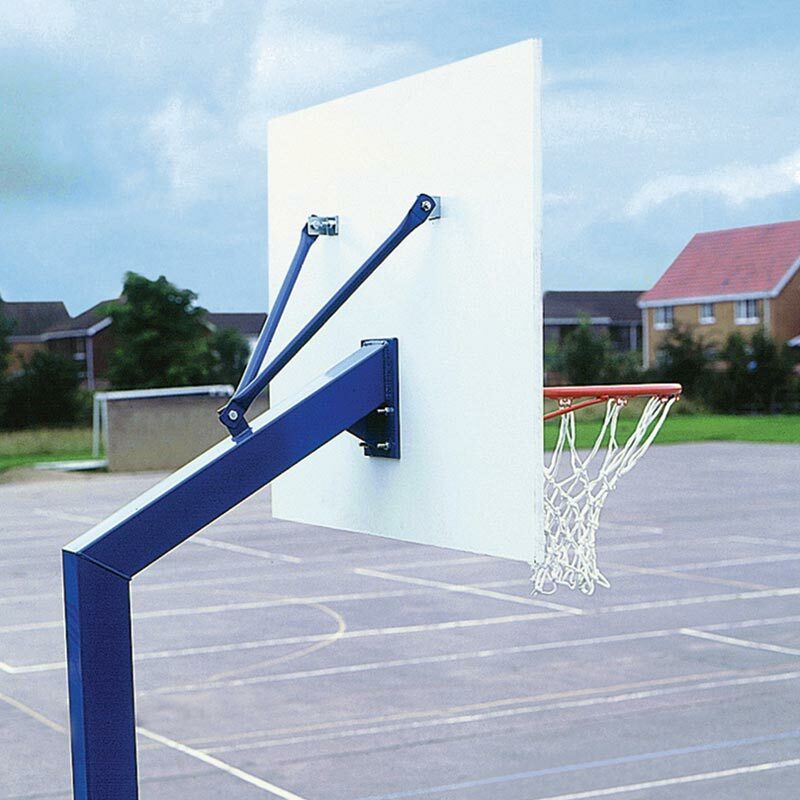 Harrod Sport ® Socketed Mini Basketball Goals are used in mini basketball which is aimed at children aged between 8-12 years. 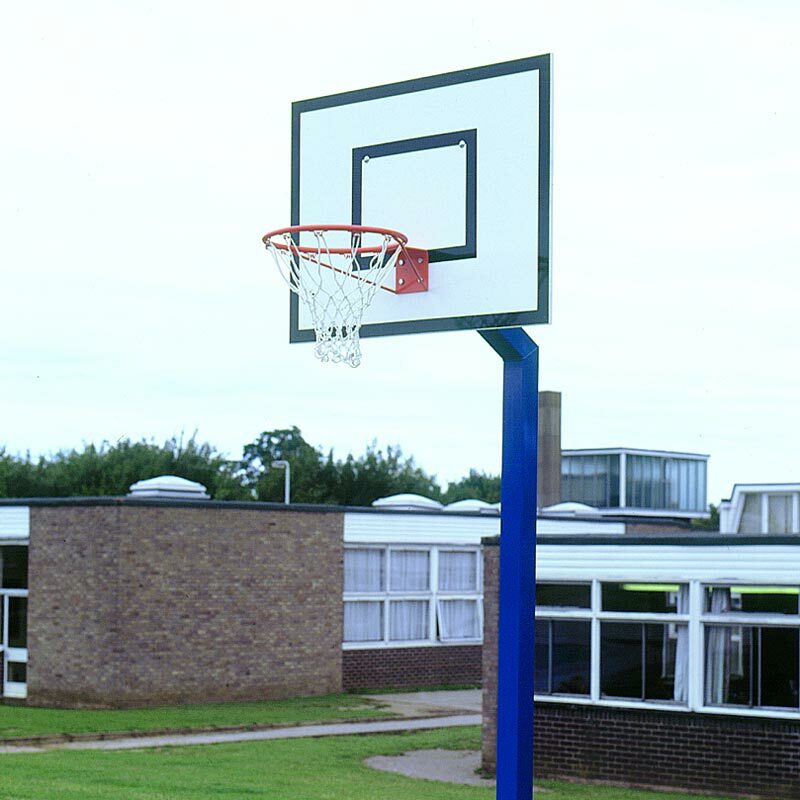 The posts consist of a regulation size backboard and ring but is set at a height of 2.6m from the ground and is played with a smaller ball. The English Mini Basketball Association is actively promoting the game as a way of introducing a fun game to children to encourage them into the sport. 2 x Sockets (when order socketed option). Regulation 2.6m high 100mm sq x 3mm thick heavy duty uprights which are zinc phosphated and polyester powder coated. Regulation ring is bolted directly through to steel arm for added strength. Ring height is 2.6m from ground. Permanent goals (only) designed to be concreted directly 914mm into the ground. Socketed goals (only) complete with 914mm deep sockets with a 103mm internal diameter. Permanent Goals - 101kg per pair. Socketed Goals - 116kg per pair. Lost the instructions for your Harrod Sport Mini Basketball Goals? Please Click Here to download a new copy.